There are a number of factors that can cause a slab leak in your Aliso Viejo house. 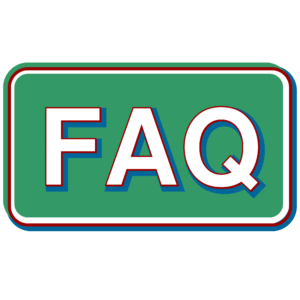 Most often the settling of the foundation can lead to broken pipes below the ground. Even poor workmanship (just small errors) at the time of construction, when combined with time and mother nature, can slowly cause leaks under the foundation. In addition you might just have an older home that has very old pipes, and when you mix old plumbing with normal wear and tear (corrosion), sometimes you’ll have to deal with a slab leak. Contact Streamline Plumbing today for immediate answers. If you already had a plumbing company come to your house in Aliso Viejo and diagnose the slab leak repair, consider getting a Free second opinion. Streamline Plumbing offers highly competitive pricing for slab leak repairs, and our technicians are very experienced and professional. 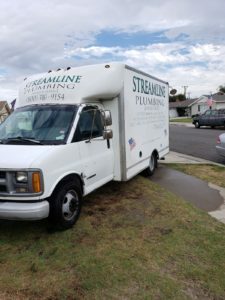 Before you just hire “any company” call Streamline Plumbing today for a Free 2nd Opinion at your Aliso Viejo home. Slab Leaks are pressurized plumbing and pipe leakage, which can occur beneath the concrete or slab within your Aliso Viejo house, place of business or anything built with slab on grade foundations. These types of leaks can occur with either the hot line or the cold line. Slab leaks can happen in the houses incoming water line or even sometimes in the sewer line. Both types of links can cause large amounts of damage to the foundation. If you have a leak in the incoming water line it will never stop leaking because the water pressure of that line will continue to flow water out of the leak and it will continually increase the size of the hole in your pipe. This will cause major damage over time since water will be leaking out with increasing frequency. When these leaks are above the ground they are known as pinhole leaks. Do You Have a slab leak repair in Aliso Viejo? One of the easiest ways to find out if you’re having a slab leak is if you notice water in the yard or in the house coming up from underneath the floor. Having high water bills can be another sure indicator of having this problem as well. Be sure to double check that the water isn’t coming from another leak source (one which is above ground for instance) such as your shower, toilets, faucets etc. If you are sure that nothing else is the cause of the leak and that no water is running inside your house then go to your water meter which is outside of your home. Usually by the entrance to your driveway underneath a stone block) and look for the leak indicator – typically this is a small triangle or star on the face of the meter. If the symbol is moving (even if it’s very subtle) then is a sure indication that you do have a leak.